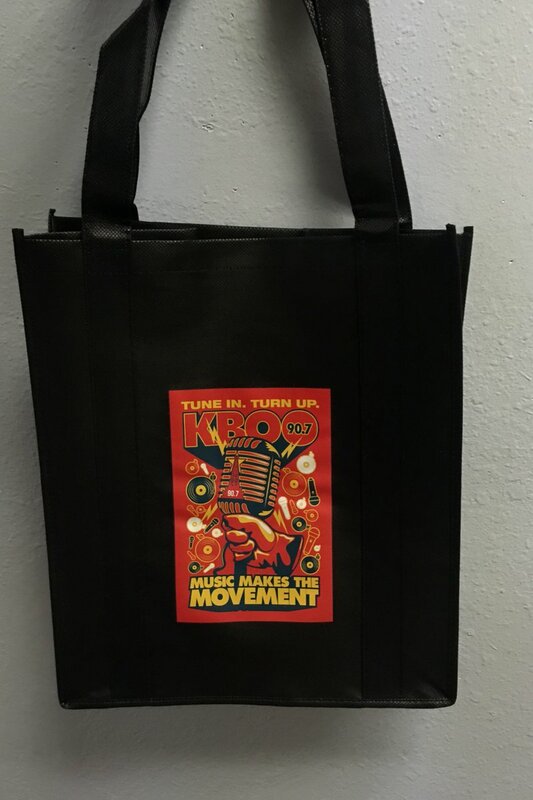 KBOO black tote bag with handles. Red microphone logo: Tune in. Turn Up. 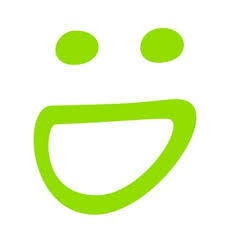 KBOO - Music Makes the Movement. 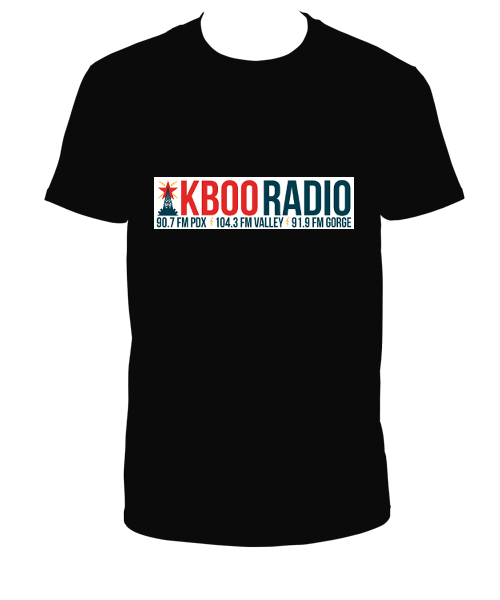 A new old standard - plain old, straight up KBOO t-shirt! 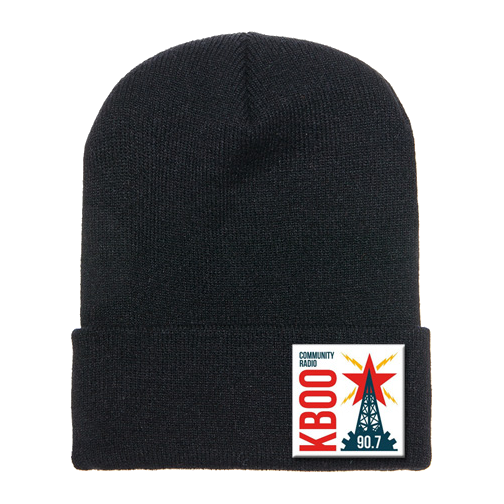 Show your love for KBOO with this nifty, stylish and useful knit cap! Fight fascism power pack! Over 40 hours of KBOO podcasts and program specials with a focus on fighting the fascist takeover. 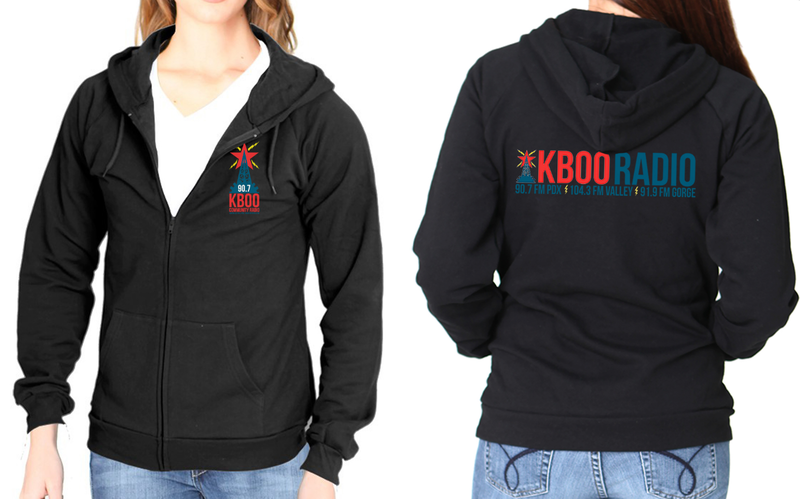 KBOO's Two Sided Hoodie, get one today! Show your love and support for Amy Goodman, Juan Gonzalez and the rest of their hardworking crew for bringing you a dose of honest analysis during Democracy Now - on KBOO each weekday at 7 am and 4 pm. 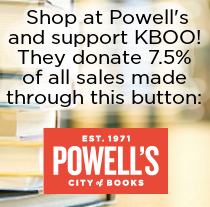 Call 877-500-5266 (KBOO) or join online!